NEW YORK (AP) _ In the latest big debut for a “fast casual” restaurant company, shares of Wingstop are rocketing after the chicken wings chain said its initial public offering raised $110.2 million. Wingstop’s offering of 5.8 million shares priced at $19 per share. The company had expected the stock to price between $16 and $18 a share. Its stock climbed $10.90, or 57.4 percent, to $29.90 in midday trading. Restaurants that call themselves “fast casual” tout a more relaxed atmosphere and fast service than traditional restaurants combined with food that seems healthier or fresher than fast food. The style has grown in popularity in recent years, and older fast food chains are also trying to refashion themselves to reflect the trend. It’s also caught on with investors. Wingstop is the fifth such company to go public with a $100 million IPO since late 2013. All of those stocks did well on their first day of trading: shares of burger chain Shake Shack Inc. and sandwich maker Potbelly Corp. both more than doubled in value in their debuts, while chicken chain El Pollo Loco Holdings Inc. climbed about 60 percent and chicken and biscuits maker Bojangles Inc. advanced 25 percent. 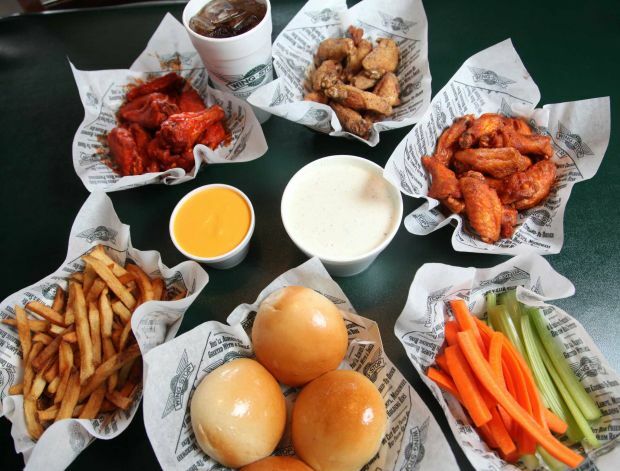 Wingstop’s restaurants serve 11 varieties of wings along with sides and seasoned fries, and the company calls itself the largest fast casual chicken wings restaurant company in the world. It opened 100 restaurants in 2014 and currently has around 750 restaurants in the U.S. and five other countries. In its most recent quarter ended in March, the chain earned $2.6 million, or 10 cents per share, on revenue of $19 million. Sales in domestic stores open at least a year, a key metric of a retailer’s health, rose 10.7 percent. Most of the shares in the IPO are being sold by Wingstop shareholders. The Dallas-based company will get $40.9 million in gross proceeds. It plans to use the funds to repay debt and for general corporate purposes.